One of my mentors says: “There are only result or excuses.” And it’s true: if you want something badly enough, you’ll do whatever it takes to achieve it, no matter what. If you’re an action-taker, you won’t stop until you get the results you need. It doesn’t matter how many actions you’ve taken before, the one that finally gets you the result is ultimately the only one that counts. Have you eliminated IBS from your life yet? Have you given up on ever having a healthy, happy life? Have you worked with a #powerhouseIBSconqueror who’s been there/done that to guide you back to health? If the answer to all those is NO, then here’s your next best action: Join the BUST YOUR IBS Symptom Deep Dive. I’ll take your hand and steer you through the forest so you know you’re on the right track and not guessing about whether you’re doing it right. 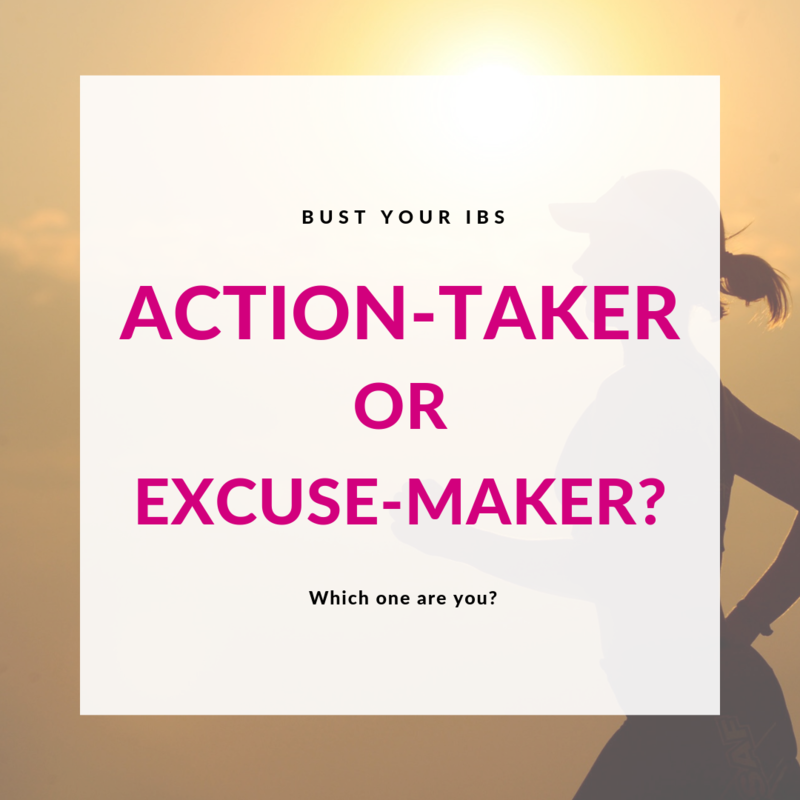 You’ll be learning the first things I teach in my Conquer IBS mentorship program, which has helped so many people get rid of their IBS for good. If you’ve been thinking about joining my IBS coaching program, joining this challenge is a no-brainer. See first-hand how I share everything I know with my clients and by the end of it maybe you’ll be ready to make the leap! What are YOUR 5 reason to BUST YOUR IBS now?